Today Mrs Scot and I decided to take the motorbike to her Mums for lunch. It was so much fun to be out on the open road together with our headsets plugged in so that we could chat. Although driving on the motorways is not much fun (very straight and generally quite busy) it was such a good feeling. Also, they had guests for lunch who were very excited by the noises and the bike in general. I realised how ‘cool’ it is all over again!! Starting to have second thoughts about selling it. Maybe I should just declare it ‘off the road’ and not insure it for a while? Or will it gather dust and lose too much value? I am going to have to make up my mind pretty soon! Only three weeks to go until our honeymoon. We both passed our Emergency First Response (EFR) courses this week so are all set for the PADI rescue diver course. Words cannot describe how excited we are to get there!! Constantly checking the weather and Facebook pages for new photographs and reviews! Jay makes three really good arguments why it is not a good idea – I urge you to check them out! Has anyone borrowed money from their parents? We have effectively borrowed the deposit on our mortgage from my Dad; we took the equity out of his house and are paying the difference in his mortgage. I will be forever grateful for this opportunity! Hopefully Jay’s reasons against borrowing from family won’t apply. I am interested if anyone has any stories where things have gone bad? nice that you both had a great time with the bike. Thanks for the link and thanks for sharing your biking story. Sounds like you really don’t want to get rid of the motorbike. Maybe you can do some calculations to see just how much it will cost each time you are able to take it out. If you’re really not going to be able to use it much, you might be best off selling it and buying a new bike when you have more time to use it. It seems like you’re likely to go with your heart and keep it though. 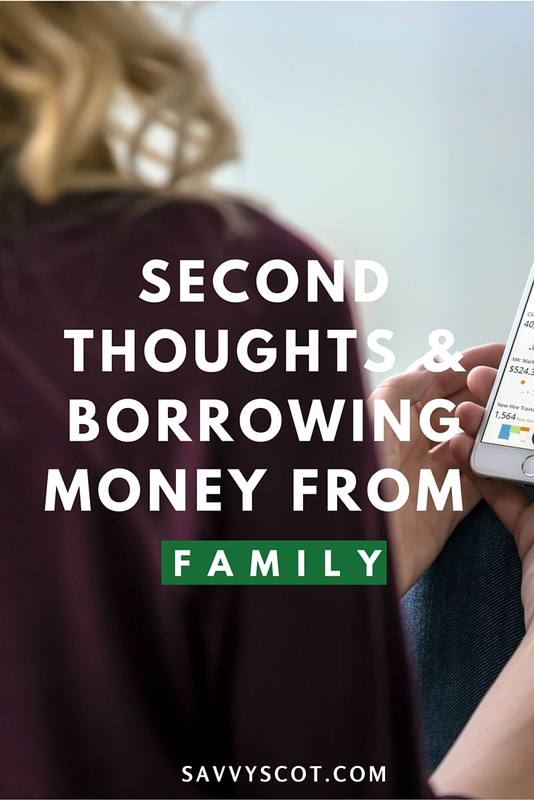 I fear that the calculations will just reinforce the selling option,…..
I’d definitely borrow money from my dad should I ever need a reason to (down payment, etc) because I don’t see it ever being a problem between us. Maybe think about it for awhile – take it off the road and don’t drive it just for a bit and see if you’re happy without it. If you’re fine, you could sell it.